Heat gas or charcoal grill. In 1-quart saucepan, mix preserves, chiles, lime peel and lime juice. Cook over low heat just until preserves are melted, stirring constantly. Sprinkle chicken with salt; place on grill. Cover grill; cook over medium heat 5 minutes. 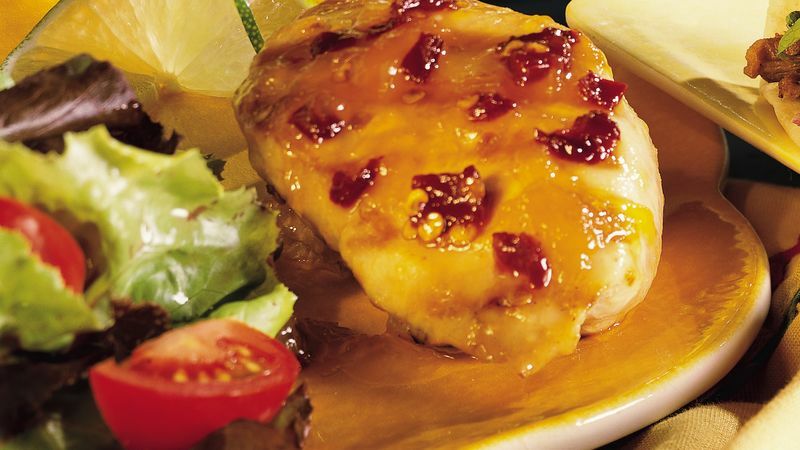 Turn chicken; brush with preserves mixture. Cook 10 to 15 minutes longer, turning and brushing with preserves mixture once or twice, until juice of chicken is clear when center of thickest part is cut (170°F). Discard any remaining preserves mixture. Broiling Directions: To broil chicken, place on broiler pan; broil 4 to 6 inches from heat using times above as a guide, turning and brushing with preserves mixture as directed.